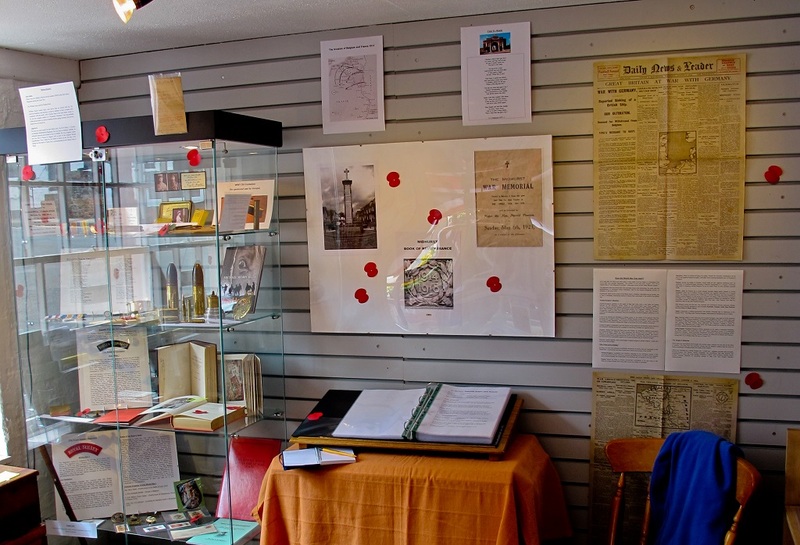 After the Armistice with Germany on 11 November 1918, towns and villages across the UK started to make plans to commemorate men from the local community who had died in military service during the war. 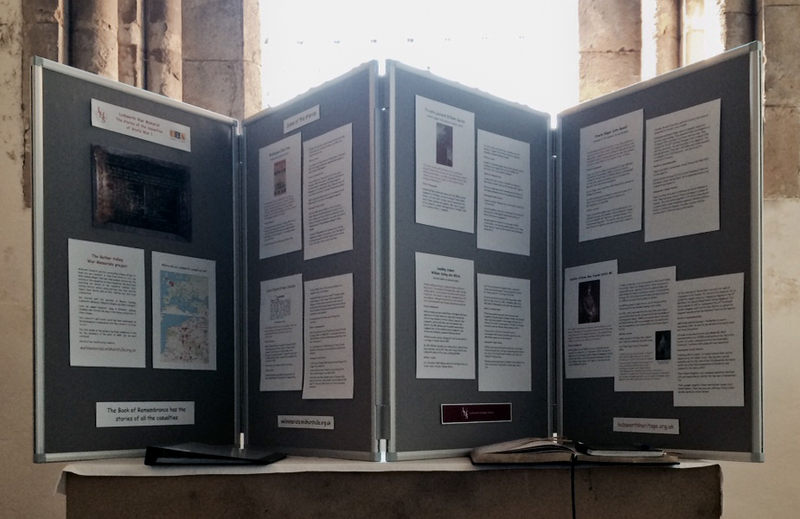 According to the February 1920 edition of the Midhurst Deanery Church News: “In Sussex, the County Council took the initiative in promoting War Memorials and Peace Celebrations”. In Cocking, the move to erect a war memorial was led by the rector, Rev. Henry Lawrence Randall. On 19 December, a parish council meeting was held in the reading room which stood in front of the school at the end of Mill Lane. 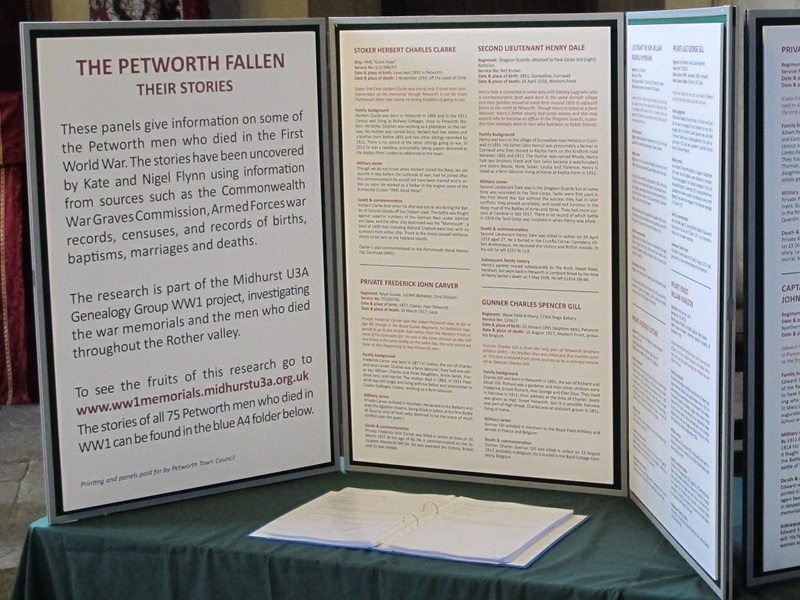 At the meeting, the bravery of the soldiers and sailors was extolled before a discussion was held whether Cocking War Memorial should combine with that to be erected at Midhurst. The proposal was rejected by the council. Instead, the council accepted Rev. Randall’s proposal that a memorial should be erected on the corner of the Main Road and Mill Lane, in the garden of the school. On 8 May 1919 the council again discussed the proposed War Memorial and the alternative proposals, the “installation of a fountain” or “setting aside a cottage for wounded soldiers”. The council decided to continue with the plans for a War Memorial. Shortly afterwards, a well-attended public meeting was held on the school with Mr John Hutchings in the chair. The general feeling of the meeting was that the memorial should take the form of a cross. Rev. Randall suggested that the cross should be erected on the school lawn. “This position, facing the main road and some six feet above it, seemed to be an ideal site”. A committee was formed to deal with the matter with Mr. Hutchings as chairman with the other members being Miss Burfoot, Miss Hutt, Mr Bewley-Smith, Col. Matchett and Rev. Randall. 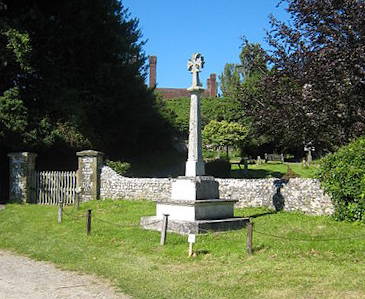 The committee made an early decision to consult a professional architect and approached Mr. Philip Mainwaring Johnston, who had worked on many churches throughout Sussex, including the restoration of St. George’s at Trotton in 1903 and St. Mary’s at Chithurst in 1911. Unfortunately, Mr. Johnston was extremely busy and it was not until October that he submitted his design. This was put before a public meeting on 21 October 1919 and “was much admired”. The meeting was informed that the estimated cost of the memorial was about £120 and it was agreed that this should be raised by public subscription, with £35 being promised by those at the meeting. Messrs Madgwick, Sweet and Ginman were invited to join the committee, and it was agreed that Major the Hon. Harold Pearson (the son and heir apparent to Lord Cowdray) should be kept informed and invited to contribute. Following the meeting, members of the committee visited every house in the parish to explain the plans and solicit contributions. At another public meeting on 16 February 1920, it was announced that Maj. Pearson had contributed £25 and a total of £101 9s had been raised so far. As a result the work was put in hand. The monument was designed by Mr Philip Mainwaring Johnston and made by the Art Memorial Company of West Norwood. It had originally been hoped that the memorial could be put up and dedicated by the end of September 1920, but this was delayed as a result of a strike by the workers at the stonemasons. In a letter from Mr Johnston received by Rev. Randall on 21 September, Mr Johnston said: “I had hoped that the Cross might have been ready for erection towards the end of September, but we must now consider a date about mid-October. . . A strike at the works has made a month’s delay. . . I am very pleased with the quality of the stone, and the manner in which the work is being executed. Mid-October ought to see the Cross being erected at Cocking; so that somewhere about All Saints’ Day would be a very appropriate date for the unveiling”. The cross was described by Rev. Randall as “of that type which was probably most usual in churchyards, at crossroads by the wayside, and in most market places 700 years ago”. The cross was made in Portland stone and is 13 ft. high standing on a square base. Above the base is a socket-stone with the angles taken off. From the socket-stone rises the shaft, which has chamfered and stopped angles. On this shaft rests the moulded capstone bearing the Cross, which is of Maltese form, with bunches of grapes in the angles to signify “Sacrifice”. 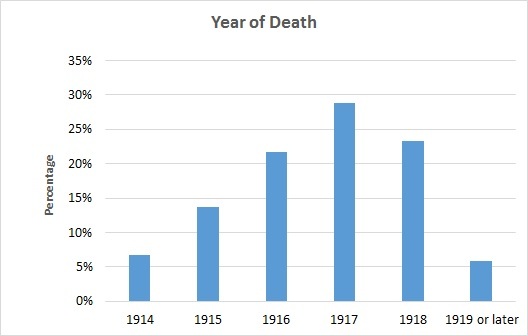 The cost of the memorial was revealed at the final meeting of the committee on 10 February 1921 as £150 of which £144 8s 10d had been raised by public subscription with the shortfall of £5 11s 2d being met from parish funds. The memorial was unveiled and dedicated at 3.30 pm on Sunday 31 October 1920, the eve of All Saints’ Day. The weather in the weeks before had been a very beautiful St. Luke’s summer (a period of fine weather around 18 October, the saint’s feast day) but the weather broke on the morning of the service, which was held under grey skies with occasional showers. Fortunately, the worst of the rain held off, although that evening experienced the heaviest downpour of the whole year. At the dedication ceremony, there was a large gathering of parishioners, including a group of the relatives of the men whose names appeared on the base of the cross. Major Harold Pearson and Mrs Pearson were also present, much to the delight of the villagers. Following the dedication to those “who laid down their lives in the cause of Justice, Freedom and Truth” and prayers, the service concluded with the hymn, Onward, Christian Soldiers. 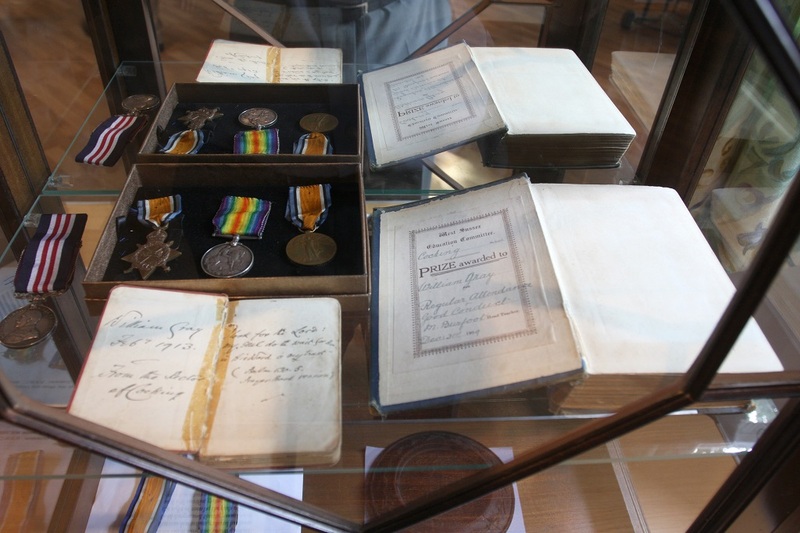 Following the Second World War, there was a long delay in adding the names of the two men from the village who had been killed on military service. At a parish council meeting on 22 March 1950, the then rector Rev. Smith suggested that the names of Second World War fallen should be added to the War Memorial. This was further discussed at the council meeting on 25 November, but no decision was taken. 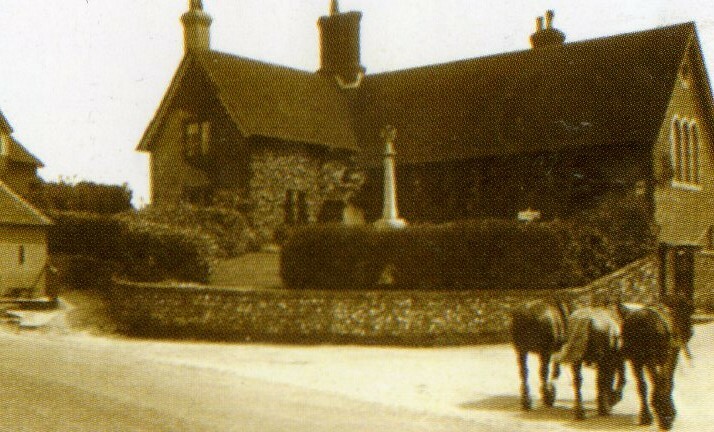 In 1959, the memorial was moved from in front of the school to its present location outside the churchyard close to Costers Brook, with the cost being met by the Cowdray Estate. It was not until October 1991 that the council finally agreed that two names of the Second World War fallen should be added with the cost to be raised by public subscription.